To download this video, with or without subtitles, please right-click on one of the following links and select "Save Link As..." (Chrome and Firefox), "Save target as..." (Internet Explorer), "Save linked content as..." (Opera) or "Download Linked File As..." (Safari). This section of the website provides quick links to the latest content for health professionals relating to blood and clinical practice. This section will change on a regular basis to ensure health professionals have the most up-to-date information on changes in practice. To return to this page click on the For Health Professionals button available at the bottom of any page on this site. Module 1 Critical Bleeding / Massive Transfusion - to assist and guide health-care professionals in making clinical decisions when managing patients with critical bleeding who require or are likely to require massive transfusion. Module 2 Perioperative - to inform health-care practitioners, health educators, health service managers and policy makers about the pre, intra and postoperative care of patients undergoing surgery or invasive procedures, particularly those in which blood loss is anticipated. Module 3 Medical - to assist and guide clinical decisions and coordination of health-care across the primary, secondary and tertiary care setting for patients with acute or chronic medical conditions requiring haematological intervention. Module 4 Critical Care - to assist and guide health-care professionals in making clinical decisions when managing patients requiring critical care. Module 5 Obstetrics and Maternity - is intended to assist and guide health-care professionals in making clinical decisions when managing pregnant and postpartum women. Visit Implementing the Patient Blood Management Guidelines to access the latest tools and information to support health providers implementing PBM strategies. On this page you will also find the NBA's PBM Guidelines Implementation Strategy. Blood Inventory Management Guidelines - The NBA is proud to announce the release of Managing Blood and Blood Product Inventory: A Guide for Australian Health Providers which identifies some better practice activities to aid health providers in appropriately managing their inventory. Also available to download from this page is an A3 poster of the 10 tips to help manage your blood product inventory. 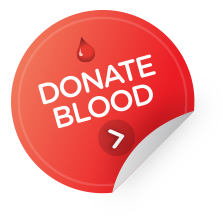 BloodChat - BloodChat is a group of online discussion forums that enable those working or interested in the blood sector to come together virtually to share ideas, resources and to discuss matters relating to transfusion. Cost of blood now on blood labels - look at the latest strategies being implemented as part of a national strategy to reduce blood product wastage. Public Consultation - information on current and planned public consultations being undertaken by the National Blood Authority.